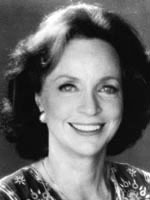 Beatrice Straight was best known for her stage work. She won an Oscar for the 1976 film network even though she had only five minutes and forty seconds on the screen. 03/20/1974 0060 The Ghost at the Gate A ghostly, two-timing tale of romance where a man continues his affair with his wife and his mistress - even beyond death. 01/20/1975 0208 The Precious Killer A prominent figure in a European faction is charged with sedition and soon comes to realize that the cause he championed only brought about oppression. His desire to step aside to make way for change is thwarted by all around treachery. 05/12/1975 0272 For Tomorrow We Die Harry Taylor gets out after three decades in prison for murdering his wife and goes to find an old flame Jesse Craig. Her son-in-law tries to find out whether his love is sincere, or motivated by revenge for Jesse deserting him years ago. 02/26/1976 0438 The Providential Ghost When a young girl experiences the loss of her grandfather soon after losing her parents in a tragic accident finds herself in the care of two old aunts who terrify her. Her faith is bolstered when she realizes her grandpa's spirit is still hanging around. The Providential Ghost was the best thing this woman ever did. She played that little girl exceptionally well. The story was brilliant. It is in my top 20 list somewhere.